PORTLAND, OR, 6/18/2018 — Eisner-nominated and New York Times bestselling thriller writer Chelsea Cain reunites Mockingbird creative team and returns to comics. 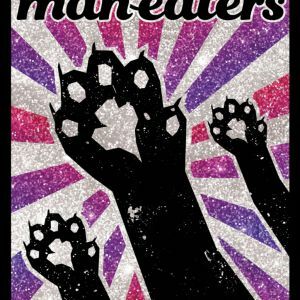 Mockingbird artist Kate Niemczyk, colorist Rachelle Rosenberg, letterer Joe Caramagna, and writer Chelsea Cain are joined by Lia Miternique and Stella Greenvoss for a new ongoing series—MAN-EATERS—from Image comics this September. A mutation in Toxoplasmosis causes menstruating women to turn into ferocious killer wildcats—easily provoked and extremely dangerous. As panic spreads and paranoia takes root, the fate of the world rides on the shoulders of one twelve-year-old girl. Part Cat People, part The Handmaid’s Tale, all pro-feline agenda. 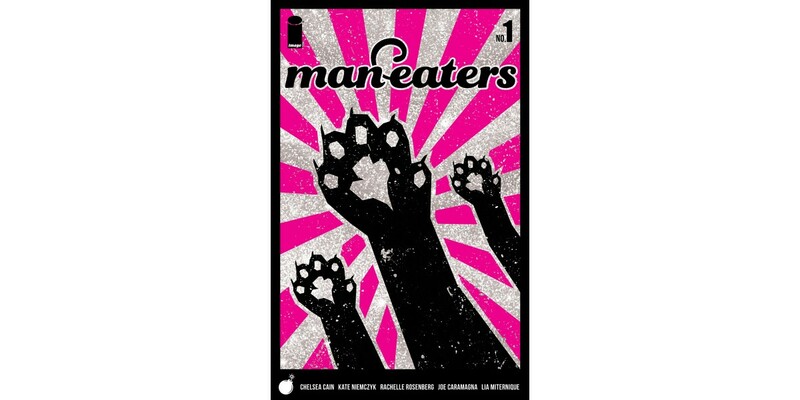 MAN-EATERS—Cain’s first comic since Mockingbird lit up Twitter and made international headlines—is produced for Image comics by Ministry of Trouble, a production company founded by Cain and Miternique in 2017 with the mission of making trouble. 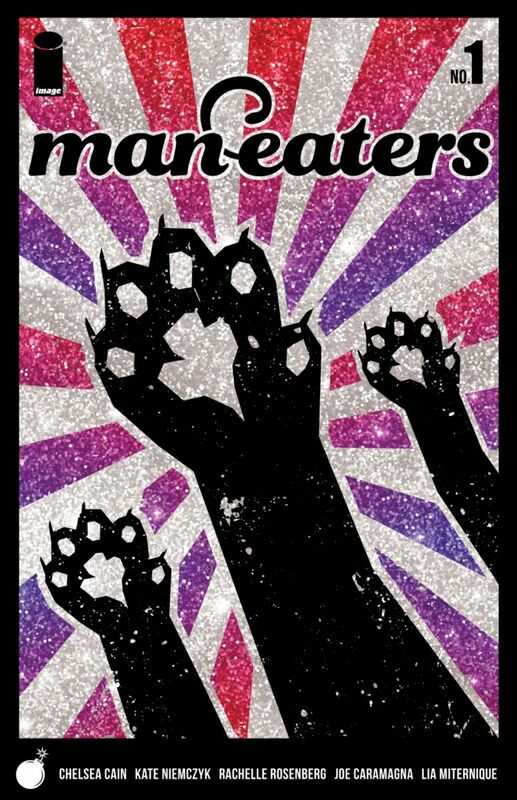 MAN-EATERS #1 (Diamond Code JUL180103) and MAN-EATERS #1 Glitter Cover (Diamond Code JUL180104) hit stores on Wednesday, September 26th. The final order cutoff deadline for comics retailers is Monday, September 3rd.